Spray large cookie sheet with cooking spray. Remove dough from can. 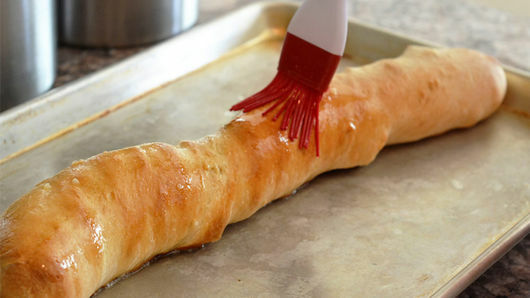 Twist dough into a long log; place on cookie sheet. Cover with plastic wrap; let stand while oven is heating. Heat oven to 350°F. 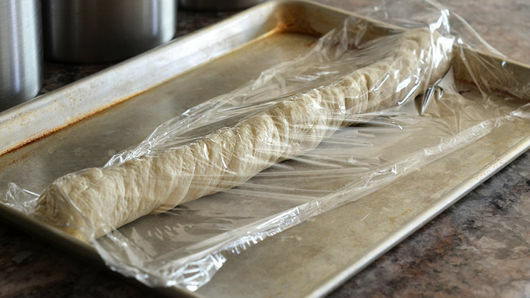 When oven is heated, remove plastic wrap from dough. Bake 20 to 25 minutes or until golden brown. Meanwhile, in small cup or bowl, mix melted butter and garlic. Remove bread from oven. Immediately brush garlic butter over bread. Sprinkle evenly with parsley. Cool 15 minutes before slicing. When bread is cool, cut 1-inch slits crosswise and three-fourths of the way down into bread; do not cut all the way through. Insert 1 square of cheese into each slit. 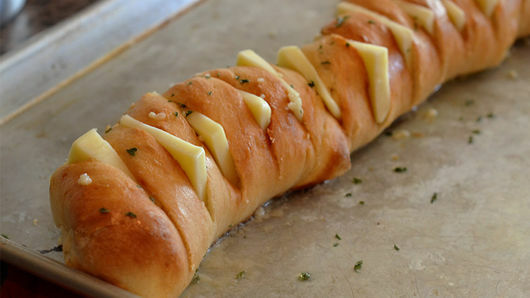 Return bread to oven; bake 5 minutes or until cheese is melted. Remove from oven. Cool 5 minutes before serving. 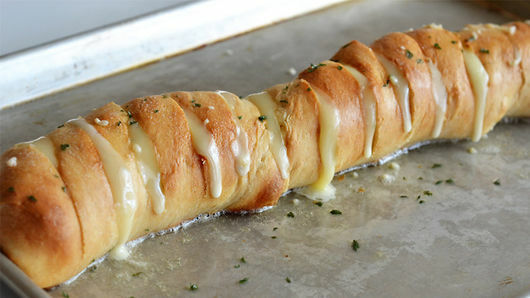 Try Cheddar or mozzarella cheese instead of Monterey Jack. Add other favorite herbs, such as rosemary or oregano for added flavor!